Call me old-fashioned, but I still love physical, hard copy books. There’s no doubt that eBooks are becoming more and more popular, eating into the sales of physical books to an ever increasing extent. Some say that books as we know them will die out completely, and this is a distinct possibility. But I still love proper paper books. The act of reading involves you in a dialogue with the author that cannot be replicated by any other medium. The brain works to picture what the text is trying to communicate, seeks out meaning and subtext, and contemplates the message, if there is one. It engages you in an intellectual exercise that is as creative for the reader as it is for the author. to be so much more than just text concerns me. 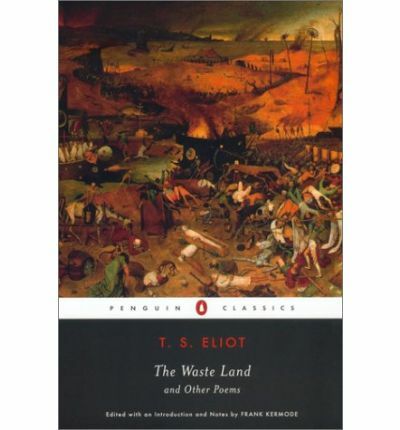 The likelihood is that eBooks will become multimedia extravaganzas including images, video clips, links to websites, etc., that will increasingly be produced by teams of creators (a wonderful example of this is the deluxe eEdition of TS Eliot’s The Waste Land, released by Faber and Faber and Touch Press as an iPad app, which includes variant versions of the epic poem, along with images of the notes Ezra Pound scribbled throughout an early version, video clips, interviews and a host of other features). However, the problem with these extravaganzas will be that the possibilities for a deep reading of a text (with occasional notable exceptions such as the example mentioned above) and the establishing of that special connection between a singular creative talent and the reader will diminish along with attention spans. Add to this the possibilities for authors to constantly edit their work so that no definitive and final edition exists anymore and we’re on very shaky ground (see an excellent article on this particular subject here). I like the shape, feel and heft of a physical book in my hands. And when it’s a beautifully crafted edition, all the better (kind of like women, really <g>). Add to that first editions, limited editions, signed copies, etc., and they beat eBooks hands down. Of course, I’m like this with music as well; I prefer to have the CD of the full album rather than digitally-stored favourite tracks. If I spend my money, I like to have a product I can hold in my hands, along with cover and sleeve notes. A favourite pastime of mine is to spend time browsing the shelves of bookshops, taking down books, handling them, reading the back cover blurb, perhaps reading an opening paragraph or two, asking a question or two of a member of staff, seeking a recommendation. I also like being physically surrounded by the sheer weight of all that wonderful literature; knowing it exists electronically is just not the same thing, is very much an abstract notion with little substance in my mind. I like the ability to scan my bookshelves at home and pick out books to flick through, choosing a favourite passage or poem, the pages marked by a coffee stain or evidence of a lunch I had while reading a particular chapter (not that I’m a messy eater, mind).Glancing at the cover art, even the spine, can trigger memories of what I was doing at the time in my life I read a specific book. I consider bookshelves in the home as furniture. A home without bookshelves is lacking something, in my opinion. Spartan, utilitarian, minimalistically-furnished homes strike me as soulless, cold and uninviting. Whenever I visit someone’s home, I relish the prospect of sauntering over to their bookshelves, glass of vino or a beer in hand, perusing their collection, and perhaps discussing the work of a particular author or a favourite book. What a person reads can tell you a lot about them. Somehow, I can’t envisage asking my host to fire up his/her eReader so I can rifle through their list of stored books. I guess I’m terribly nosey about what other people read. This extends to travelling on the bus, train or Luas (a tram system in Dublin city). When I see someone reading a book on their way to or from work, I’m drawn to contorting myself, as inconspicuously as possible, so I can see the cover. Not possible, so far, if they are using an eReader. In fact, seeing what someone is reading can occasionally lead to a conversation about the book. I don’t, personally, interrupt a person’s reading time, but people have done this to me, and not always in a disagreeable or intrusive manner. A couple of months ago, a person saw me reading Hugo Hamilton’s The Speckled People and it led to a conversation about the play of the book that was then running at the Gate Theatre. Last week, a woman saw me reading a book about Lucian Freud and mentioned an exhibition of his work she was intending to visit in London. This led to a brief chat about Keith Haring and David Hockney. Finally, I love the smell of books. Yes, I know, I’m mad, but the smell of the ink in new books and the smell of the paper in old books is pleasurable to me at some indefinable level of my consciousness. Despite all of the above, I’m not totally anti-eBook. The chances are I’ll probably buy an eReader at some stage. For one thing, it will give me access to material exclusively available as eTexts, such as Colm Toibin’s memoir of growing up in a culturally impoverished Wexford, A Guest at the Feast, which is available from Penguin’s new eBook series called Penguin Shorts. ePublishing opens things up for the publication of stories and articles that are considered too long for magazines or newspapers and too short to justify a physical book. It opens the door to a reinvigoration of short fiction, where people just want something they can read in its entirety on the way into work. Even luxury coffee table art books may eventually be available digitally if and when graphite technology is developed to the extent where you can take a durable wafer-thin object the size of a business card out of your pocket and fold it out to form a high-definition screen any size you want. Books as we know them may well die out, and perhaps bookshops with them, but I do think there will always be physical books, if only available in smaller quantities, or as print-on-demand items, to old-fashioned collectors like me. After all, look at the resurgent interest in vinyl LPs. With you all the way, John. Yes, we will fill our new home with millions of bookshelves! I have been forever thumping the tub about hard copy books and my reasons for loving them. What you say powerfully resonates with me. Nice work!